Dr. Olzinski-Kunze earned her medical degree from the University of Wisconsin-Madison. She then completed her internship and surgical residency at the Medical College of Virginia and the University of Rochester. Following her residency, she completed a fellowship in Breast Surgery here at the University of Rochester. 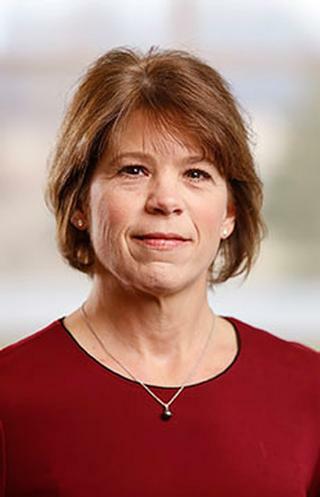 Dr. Olzinski-Kunze worked as an Attending Surgeon, Instructor of Surgery, and Assistant Professor of Surgery at Strong Memorial Hospital and Highland Hospital from 2004 to 2008. During this time, Dr. Olzinski-Kunze also served on the Strong Memorial Hospital Cancer Committee, from 2006 to 2008. Now, after working in private practice for several years, Dr. Olzinski-Kunze is returning to UR Medicine. We are pleased to welcome her back to the Department of Surgery and the Wilmot Cancer Institute Comprehensive Breast Care at Pluta program. Dr. Olzinski-Kunze is board certified by the American Board of Surgery. She is also a member of the American Society of Breast Surgeons. Dr. Olzinski-Kunze has been active in research and has authored and co-authored several publications. Principal Investigator NSABP B 35: A Clinical Trial Comparing Tamoxifen with Anastrozole in Post-menopausal Patients- currently enrolling. Principal Investigator ACASOG Z0011: A Randomized Trial of Axillary Node Dissection in Women with T1 or T2 N0M0 Breast Cancer who have a Positive Sentinel Lymph Node- currently in follow up phase. Principal Investigator ACOSOG Z0010: A Prognostic Study of Sentinel Node and Bone Marrow Micrometastases in Women with Clinical T1 or T2 N0M0 Breast Cancer: currently in follow up phase. Co-Investigator NSABP B-39/RTOG 0413: Partial Breast Radiation for Patients with Stage 0, 1, or 2 Breast Cancer Resected by Lumpectomy- currently enrolling. Co-Investigator ACOSOG Z1031: A Randomized Phase III Trial Comparing 16 to 18 Weeks of Neoadjuvant Exemestane, Letrozole, or Anastrozole in Postmenopausal Women with Clinical Stage II and III Estrogen Receptor Positive Breast Cancer- beginning enrollment in 2006.